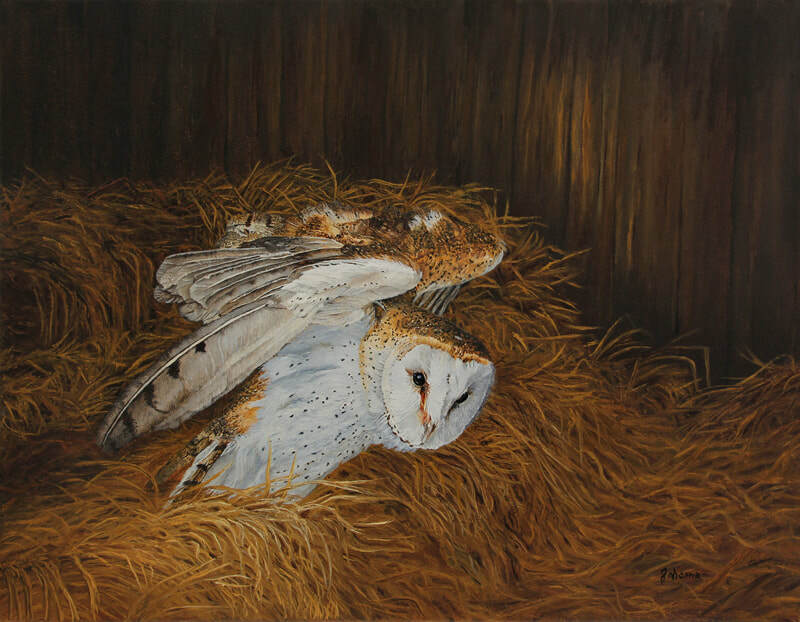 “I will never get tired of painting owls as they are such fascinating birds to watch.” For this Barn Owl oil painting, I wanted to put the owl in a hay mow. They have such acute hearing and eye sight, they can spot a mouse easily in a dark, gloomy barn. ​Barn owls are found in almost every part of the world with few exceptions. Barn owls usually partner for life and do no hoot, instead have a eerie shriek. I felt “Night Visitor – Barn Owl” was an appropriate title as they usually hunt at night for small rodents. Won the Daniel Tennant award for realism at the 2018 Jericho Fine Arts Show.